Home › Uncategorized › I think I just saw a real Firefox?!! I think I just saw a real Firefox?!! 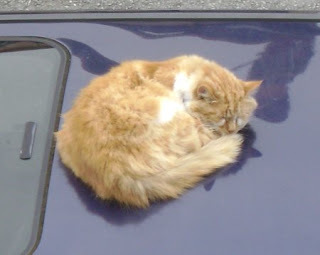 A slightly off-beat post from me today but I looked out of the window this morning and saw this cat on the roof of my car, my first thought was the Firefox logo. Could this be the illusive and fabled Firefox in person?